Crockpots are used for many different types of meals, but there are some that do better than others. For example, a beef roast, which needs to cook for hours, does amazing in a Crockpot. Another amazing dish to make in a Crockpot is pasta. Pasta can be cooked low and slow, and you can find out just how amazing it is by using any of these easy Crockpot pasta recipes with chicken. 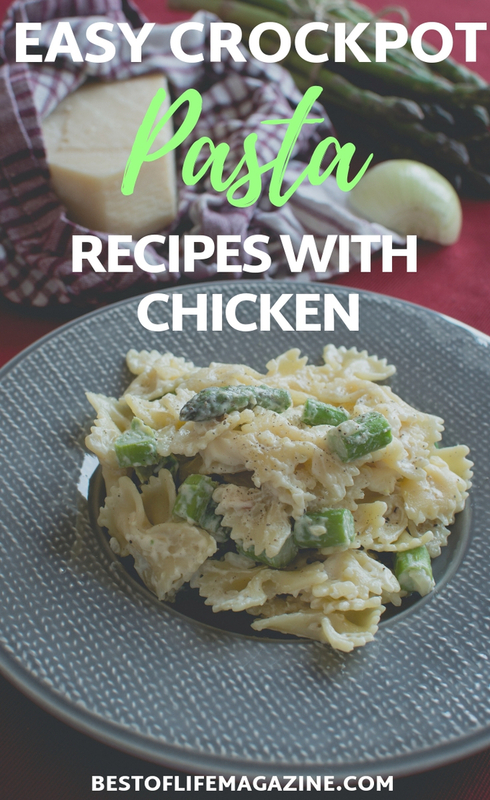 Use easy Crockpot pasta recipes with chicken to explore the world of Crockpot pasta and the flavors that chicken can bring to the dish. Pasta dishes are perfect for Crockpots, but not for the reason you may think. Pasta itself typically takes 11 to 13 minutes to cook, so setting it in a Crockpot for hours will surely overcook it. Easy Crockpot pasta recipes with chicken aren’t about the pasta itself; they’re about the sauce and the chicken. 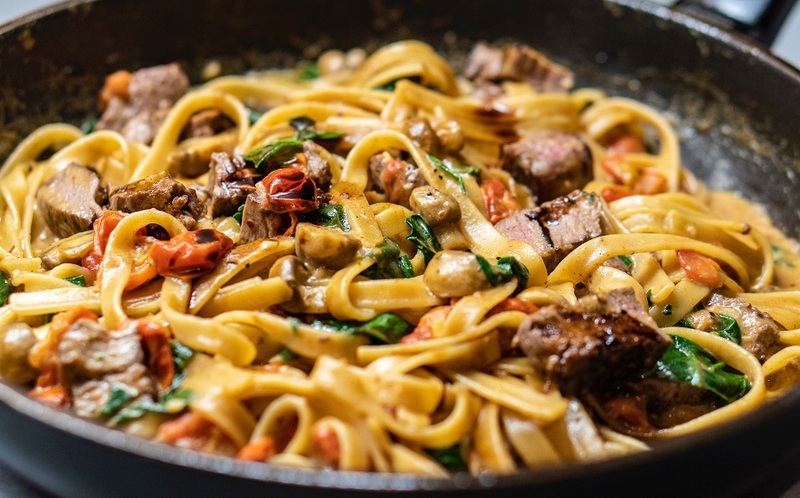 Pasta isn’t exactly filled with flavor, it’s the sauce and the meat that bring all of the flavors. Crockpots are amazing at integrating flavors from sauces into meats and letting the herbs and spices meld perfectly into the sauce. Most pasta Crockpot recipes will have you cook the pasta separately and have you add the pasta in with enough time for flavor to really take shape. 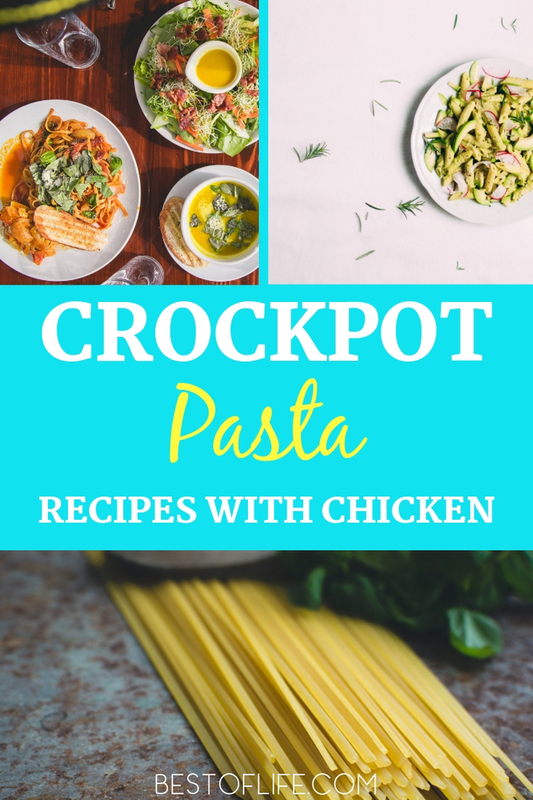 With just a little effort, you can use any of these amazing and easy Crockpot pasta recipes with chicken to impress your family, friends, and anyone else who gathers around your table. These dishes make great lunches the next day, too!